Happy Saturday! 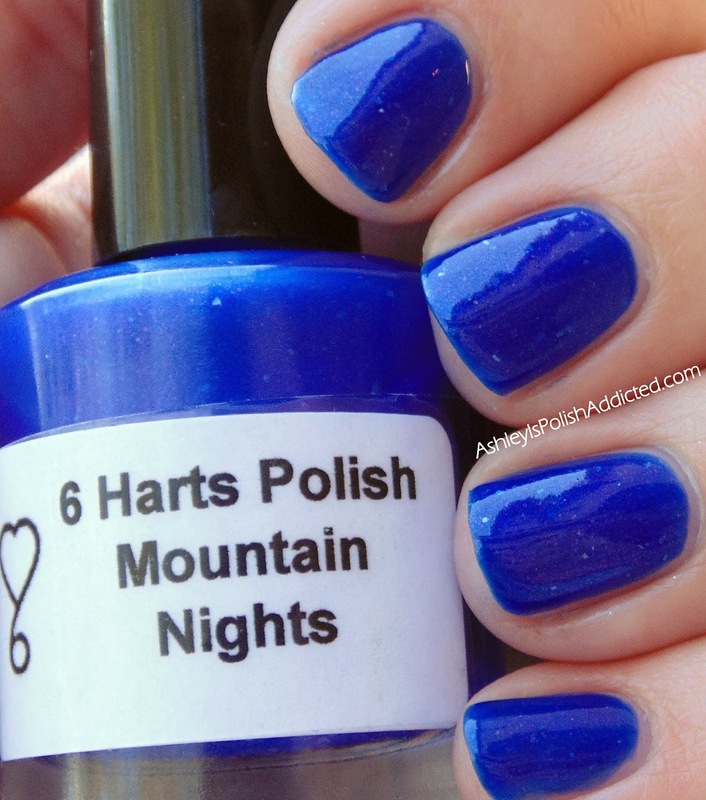 I have a brand new polish from 6 Harts Polish to show you tonight! This one will be launching tomorrow (March 23rd) and you don't want to miss it! Learn more about this beauty after the jump! 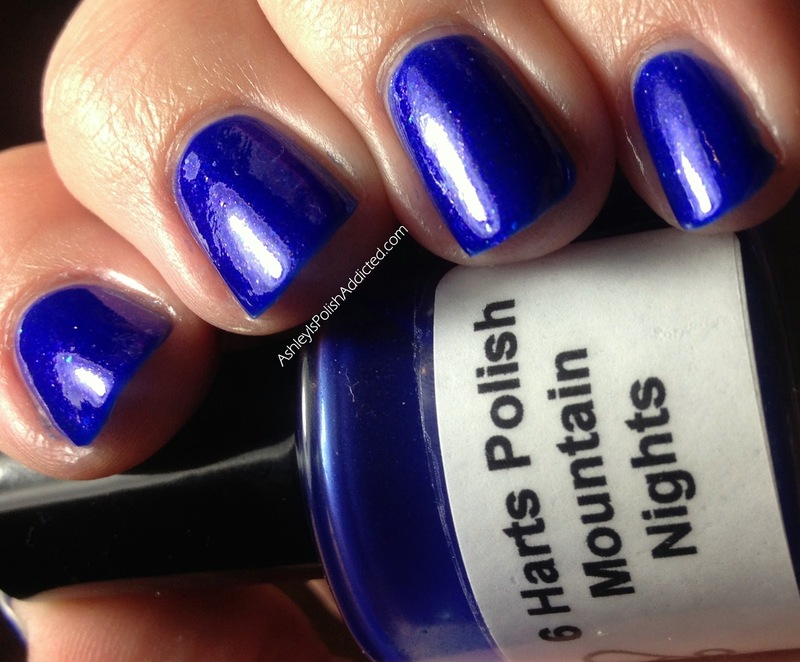 Mountain Nights is a true stunner! 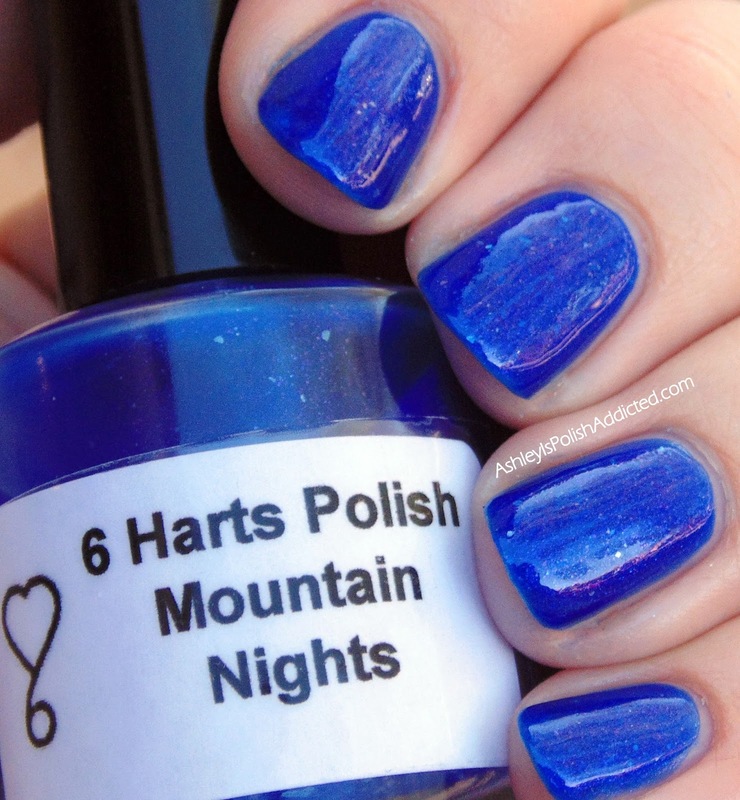 This polish was inspired by the beautiful Montana sky where Courtney (creative genius behind 6 Harts) lives. The photo below is what inspired this beauty. She totally nailed it! 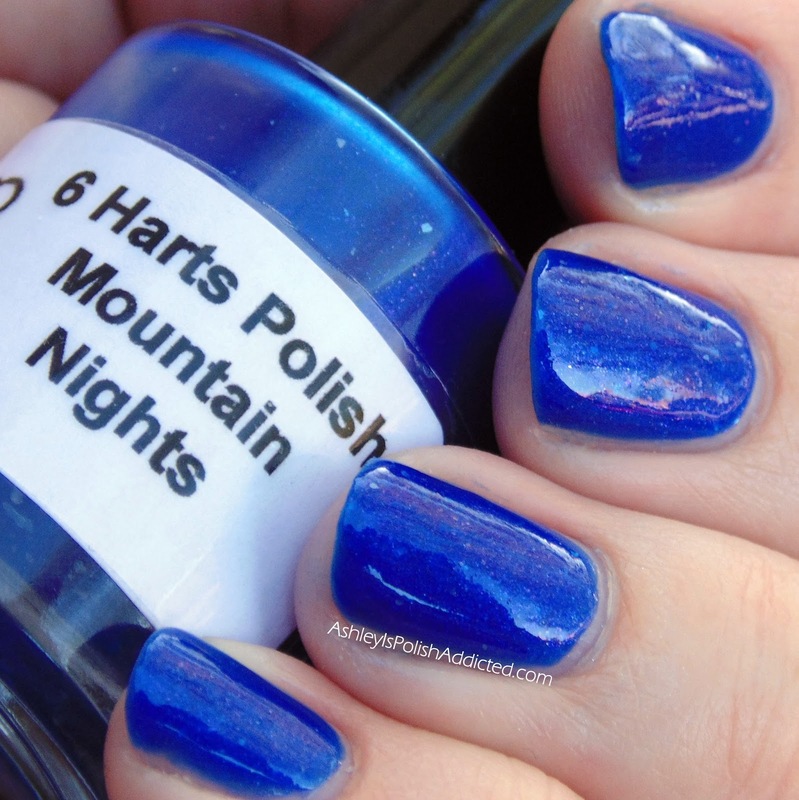 Mountain Nights is a deep blue jelly with micro-flakes and purple shimmer. 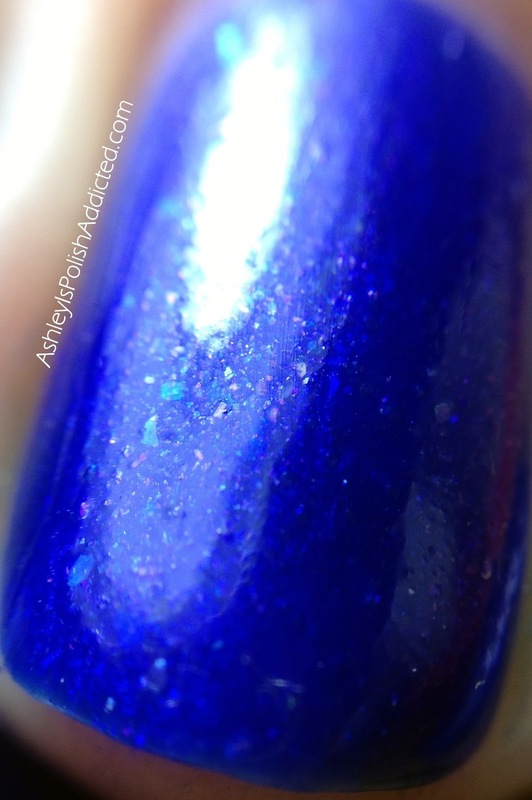 In some lighting it appears blurple (blue/purple) because the shimmer really sparkles. 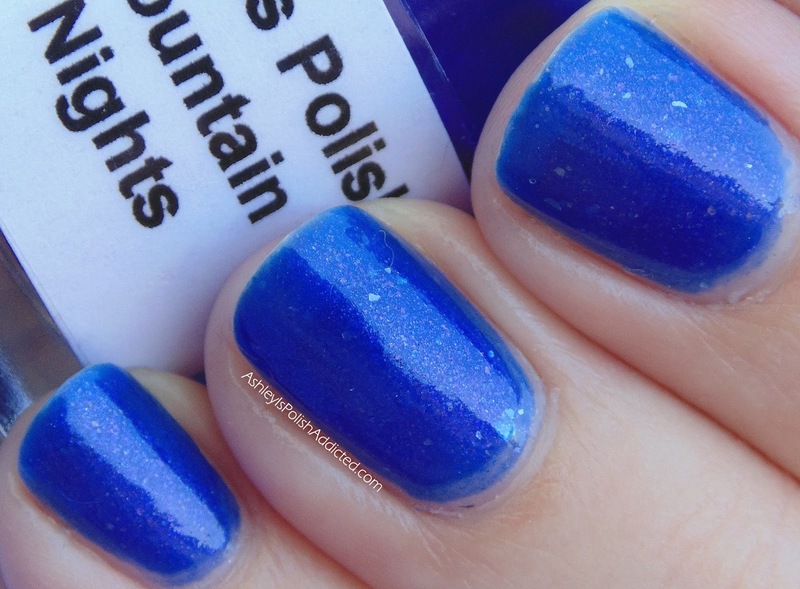 I used 3 thin coats for the photos (though I think 2 regular coats would be sufficient as well) and one coat of top coat unless otherwise noted. 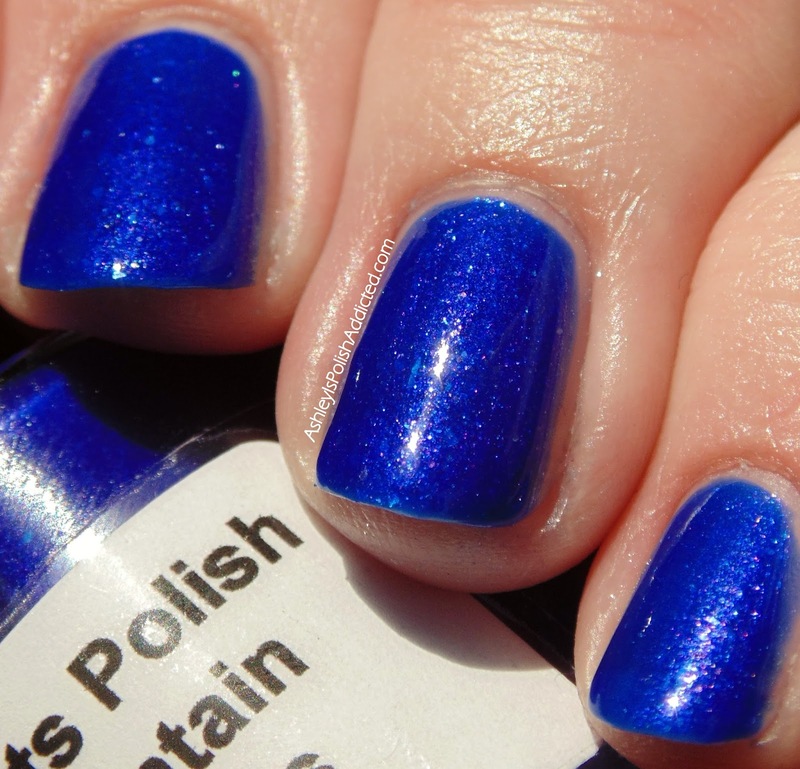 This polish will be available for sale tomorrow, March 23rd, and will retail for $9. 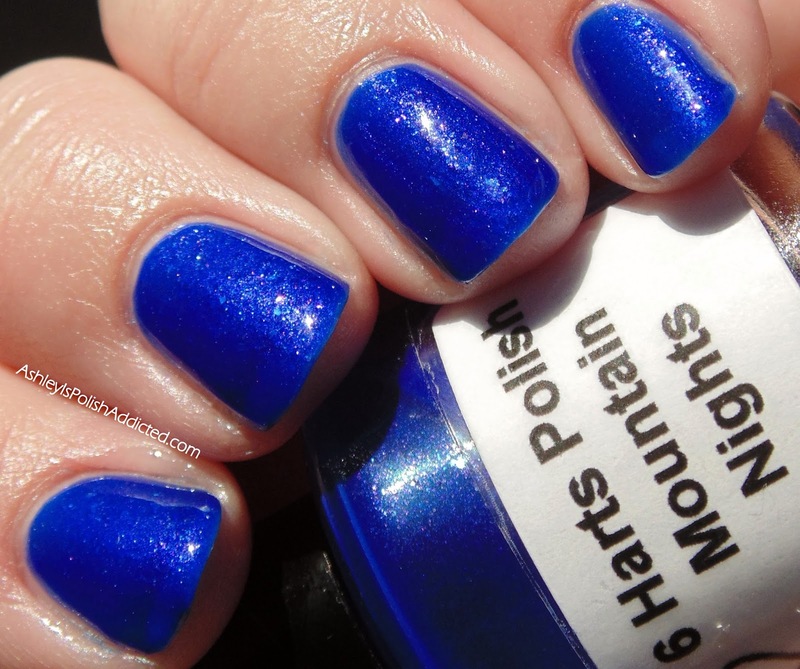 Make sure to keep an eye on 6 Harts' Facebook page to find out the time! 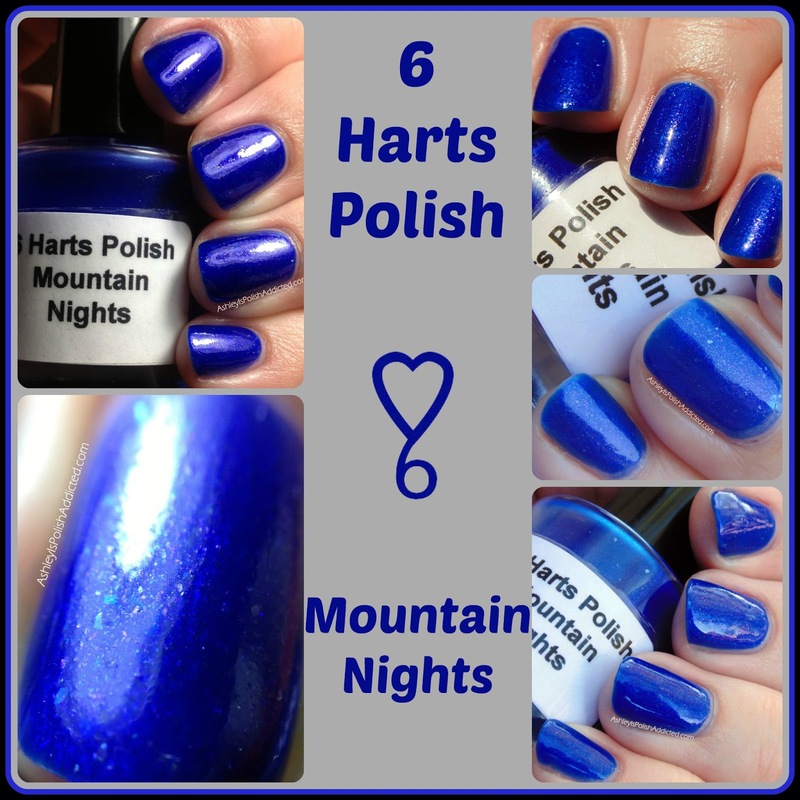 Also check out the other 6 Harts' links below! This is STUNNING! Stunning I tell you. NOTD and a Big HELLO after a long break!